U.S. Senator Cory Booker is the first American of Sierra Leonean ancestry to seek the Democratic nomination for President of the United States. Photo by David Shankbone. CC 3.0. Senator Cory Booker is the first American of Sierra Leonean descent to seek the office of President of the United States. The 2020 presidential hopeful discovered his Sierra Leonean roots through DNA analysis conducted by renowned geneticist, Dr. Rick Kittles. The result of his DNA test was presented to him by professor Henry Louis Gates Jr. in an episode of the television program ‘Finding Your Roots’. Other famous Americans of Mende ancestry include the Rev. Dr. Martin Luther King Jr., Maya Angelou, Rep. John Lewis, Coretta Scott King, and Ambassador Andrew Young. How was Senator Booker’s DNA traced to Sierra Leone? Dr. Kittles is the founder of africanancestry.com which specializes in tracing the heritage of African-Americans. It focuses on their African ancestors who were trafficked during the transatlantic slave trade that began in the 15th century. The company has a database of more than 30,000 DNA samples from members of the ethnic groups most commonly brought from Africa to the Americas. The Mende have produced two Sierra Leonean heads of state. 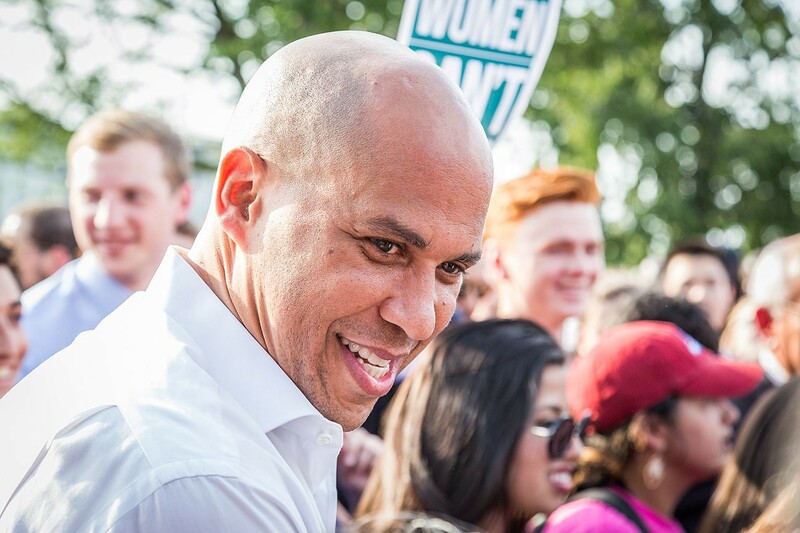 Are the odds stacked in Cory Booker’s favor in 2020? Photo: Mobilus In Mobili. CC BY-SA 4.0. The database is used to identify corresponding genetic data between an African-American and indigenous African ethnic groups. A match indicates kinship. Hence, sufficient similarities between an African-American’s DNA and that of the Mende is an indicator that their African ancestor belonged to this ethnic group. Who are the Mende of Sierra Leone? The Mende are one of the largest of the sixteen ethnic groups indigenous to Sierra Leone. Traditionally, Mende people are agriculturists, educators, politicians, and warriors. Their Mane forebearers invaded and conquered most of Sierra Leone in the 16th century, transforming the culture and political structure of the region. Centuries later, during colonialism, when Sierra Leone sought independence from the British Crown, the Mende played a pivotal role in the formation of the postcolonial government. One of the country’s first political parties, the Sierra Leone People’s Party, counts several Mende leaders among its founders including Paramount Chief Julius Gulama, Sir Banja Tejan-Sie, and Sir Milton Margai, who later became the first postcolonial Prime Minister of Sierra Leone. Ella Koblo Gulama, a Mende, was Sierra Leone’s first woman parliament minister and cabinet member. Among other famous Americans of Mende ancestry are the Rev. Dr. Martin Luther King Jr., Maya Angelou, Rep. John Lewis, Coretta Scott King, and Ambassador Andrew Young. 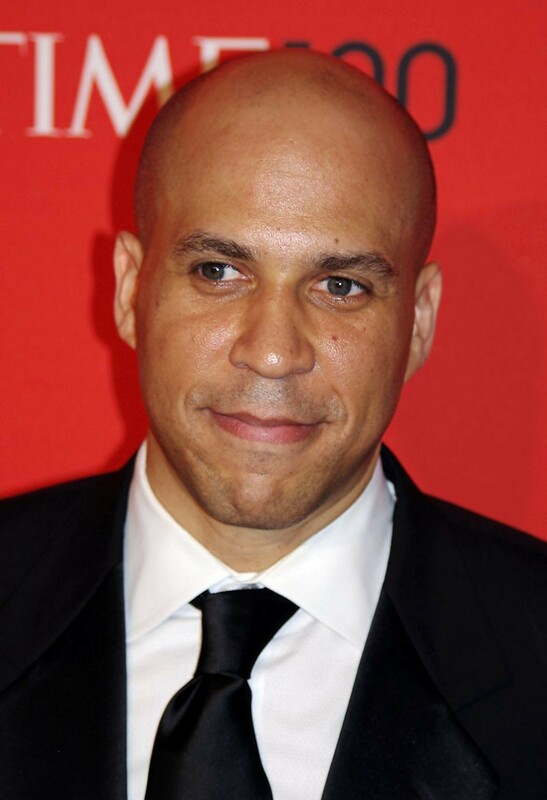 Cory Booker was born to Carolyn and Cary Booker on April 27, 1969, in Washington D.C. He was raised in Harrington Park, New Jersey. Whether or not an American President of Mende descent is in the cards in 2020 remains to be seen. He received his undergraduate degree at Stanford University. He was awarded a Rhodes Scholarship and obtained an honors degree in history from the University of Oxford. He received his J.D. from Yale Law School in 1997. He became Mayor of Newark, New Jersey in 2006, a position he held until 2013. During his tenure, he appeared on Episode 7 of the first season of ‘Finding Your Roots’ and discovered his family’s British and Sierra Leonean heritage. He became the Junior Senator from New Jersey in 2014. The first U.S. president of Sierra Leonean ancestry? On February 1, 2019 — the first day of Black History Month — Senator Booker announced his campaign for the Democratic nomination for President of the United States in the 2020 U.S. Presidential Election. Whether or not an American President of Mende descent is in the cards in 2020 remains to be seen. However, as the Mende have already produced two Sierra Leonean heads of government, the odds may be stacked in Cory Booker’s favor. Should he win the nomination and become the 46th President of the United States, the “moral arc” which Dr. King famously spoke of will indeed bend toward justice. For in the utter despair and horror of that long ago Middle Passage journey, could Senator Booker’s Sierra Leonean ancestor have dared to dream that one of their descendants would one day occupy the highest office in the land that enslaved them? Watch ‘Senator Cory Booker’s Sierra Leonean Roots’ to learn how he discovered his ancestral home. Gates, Henry Louis, Jr. “Finding Your Roots (Season 1, Episode 7).” PBS America. April 29, 2012. 44.54 Minutes. Accessed February 06, 2019. https://www.youtube.com/watch?v=WRS4pPXKTPA. Buck, Rebecca. “Cory Booker Announces He Is Running for President.” CNN. February 01, 2019. Accessed February 07, 2019. https://edition.cnn.com/2019/02/01/politics/cory-booker-announces-presidential-run-2020/index.html. “Trace Your DNA, Find Your Roots.” AfricanAncestry.com — Trace Your DNA. Find Your Roots. Accessed February 07, 2019. http://africanancestry.com/. Adi, Dr Hakim. “History — British History in Depth: Africa and the Transatlantic Slave Trade.” BBC. October 05, 2012. Accessed February 07, 2019. http://www.bbc.co.uk/history/british/abolition/africa_article_01.shtml. Kanneh, Kadiatu. African Identities Race, Nation, and Culture in Ethnography, Pan-Africanism, and Black Literatures. London: Routledge, 1998. Little, Kenneth Lindsay. The Mende of Sierra Leone: West African People in Transit. London: Routledge, 2000.